Direct to Garment FAQ : For smaller production runs, DTG offers tremendous advantages over silk screen printing. DTG provides full color, photo quality images without the extensive set-up or complicated art preparation. Once printed, the garment is heat pressed to cure the ink and ensure washability. 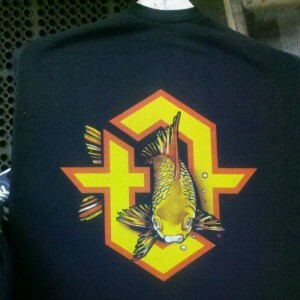 As with most inkjets, DTG printing allows for a spectrum of colors to be produced with vibrant, photo quality details. The possibilities are endless! Added bonus: there’s no color separation needed, you can print high resolution artwork, original artwork and even photos! Plus, environmentally friendly water-based inks are used so your shirt feels soft to the touch. We have plenty of sample pictures of our DTG work along with plenty of printed samples in our showroom which is conveniently located in Canoga Park at 8955 De Soto Ave. Our hours are Monday – Friday from 9am till 5pm. If our hours don’t match up with your schedule give us a call. Most of the time we’re still at the shop hustling away on an order and we would be happy to assist you with your Direct to Garment FAQ. Once in the showroom you will realize that we’ve been proudly displaying our quality since 2005! Come check out The Official California Print Co. Please don’t hesitate to ask us some questions about DTG so we can fill this page with information! All our work is done on-site to provide you with the best service and quality! We specialize in printing custom cheap shirts, cheap tshirts, printed t shirts. Use our local services and find out why our customers call us the best printing company. From full color custom screan printing t shirts to pantone color trends we offer the cheapest t shirt printing in the San Fernando Valley and Los Angeles. Cheap screen printing t shirts online for your custom design.